Posted on Friday, March 18th, 2016 at 12:41 pm. Tasting wine from a barrel is a rare opportunity that anyone can step out of the role of wine taster and peek into what it is to be a winemaker. Winemakers taste from the barrel not only to check if it is ready for bottling, but also to make sure nothing is spoiled, or when they are considering which wines to blend together. Barrel tasting is a unique experience in that the wine sample is not like any other barrel of wine. When wine is ready to be bottled, all the barrels are mixed together in one large tank, resulting in wine that is a combined result from many barrels. The Barrel | Generally made from oak, but can also be made of stainless steel. The barrels have a huge impact on the flavors incorporated in the wine. The Wine Thief | The tool used to siphon wine out of the barrel. Futures | A chance to purchase the wine you tasted now at a discount, and receive the final product after it has been bottled (usually 12-18 months later). 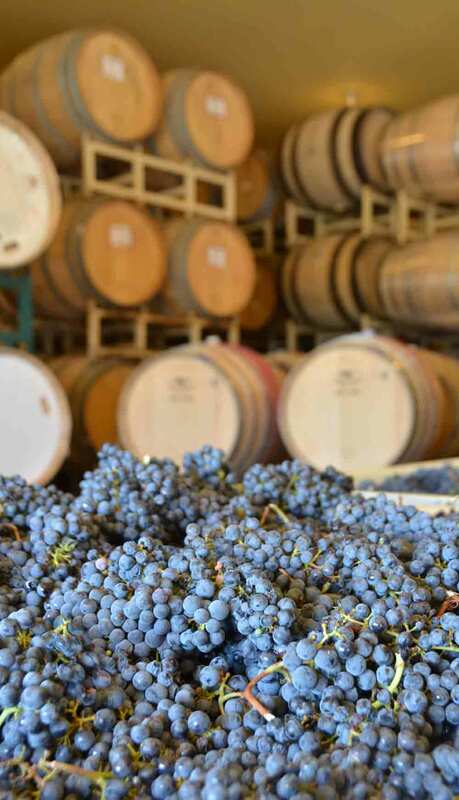 Livermore Valley Wine Country is hosting Barrel Tasting Weekend this Saturday and Sunday. Over 35 wineries are participating making it a great way to get out to those wineries you’ve been meaning to visit or stop by at your old favorites. Either way, be sure to say hi to the winemakers behind the barrels! They patiently wait and work on the wine that we all love to fill our glass with.